During this lunchtime bike ride I found myself in the Edgewood neighborhood in northeast D.C., near the Basilica of the National Shrine of the Immaculate Conception and The Catholic University of America. And as I was riding I saw a statue in a garden that to me looked vaguely like a different pose of the statue of Christ the Redeemer in Rio de Janeiro, Brazil. So I stopped to get a closer look and find out more about it. It turns out that the 17-foot-tall, 10-ton brass statue is entitled “Christ, the Light of the World.” Located 3211 4th Street (MAP), it is in a garden in front of the headquarters for the U.S. Conference of Catholic Bishops. It was originally the idea of a woman named Marjorie Lambert Russell, who lived in Topeka, Kansas. In 1936 she wrote a letter to Bishop John F. Noll, who was the founder of a publication entitled “Our Sunday Visitor.” Bishop Noll frequently used the pages of the newspaper to advocate for important Catholic causes in the United States, and she suggested that that the publication begin a drive to erect a statue of Christ in our nation’s capital. Russell pointed out that since D.C. had many statues of famous people, one should be erected to represent the greatest person who had ever walked the earth. Along with the letter she enclosed a dollar bill, which was to serve as the first donation to fund the statue. The idea appealed to Bishop Noll, who published her letter in the newspaper. The idea caught on with its readers, who soon began sending in donations for the project which would eventually total more than $150,000. Bishop Noll later arranged for the statue, designed and created by University of Notre Dame art professor Eugene Kormendi, to be placed outside the National Catholic Welfare Conference headquarters, which at that time was located at 1312 Massachusetts Avenue in downtown D.C.
Bishop Noll presented the statue to the conference, and was present at its dedication ceremony in April of 1949, where it was dedicated by The Most Reverend Amleto Giovanni Cicognani, Apostolic Delegate to the United States, and accepted by The Most Reverend John T. McNicholas, Chairman of the National Catholic Welfare Conference Administrative Board. 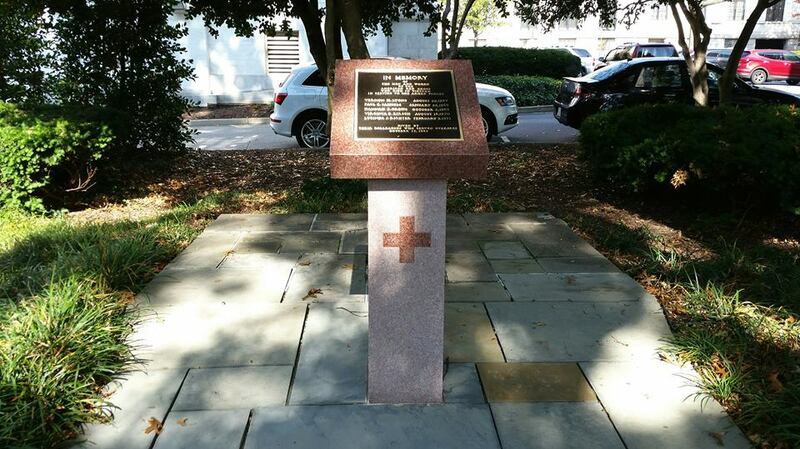 Half a century later, in 1989, the statue was moved to its current home in front of the U.S. Conference of Catholic Bishops offices, where I saw it today. Over the past few years I’ve found out first hand that biking around D.C. is a great way to get to know the city and explore all that it has to offer. It’s also a fun way to exercise and stay healthy. I go for a ride everyday. And I have a convenient and secure place to store my bikes. So I chose to own my bikes. But another alternative to owning a bike, especially if you’re only an occasional rider or don’t have anywhere to keep one, is to rent a bike. 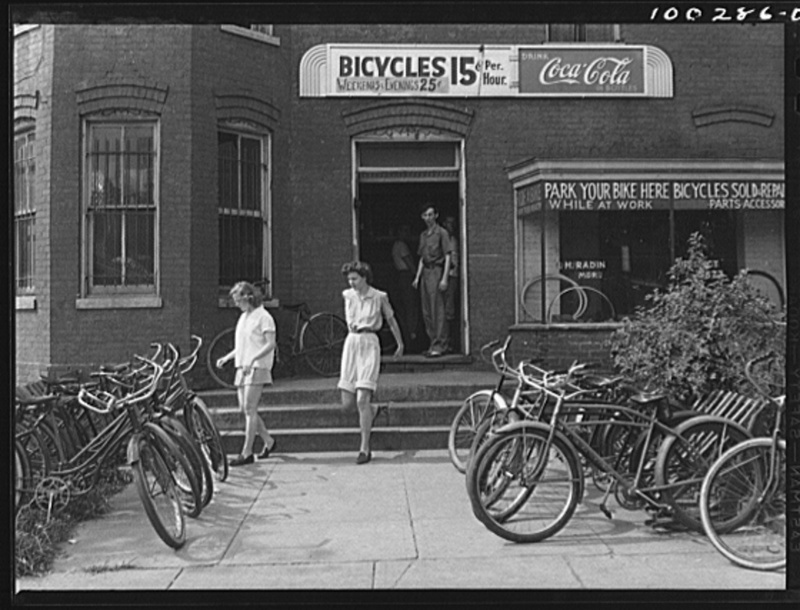 Renting a bike in D.C. has been something that has been possible for quite a long time. 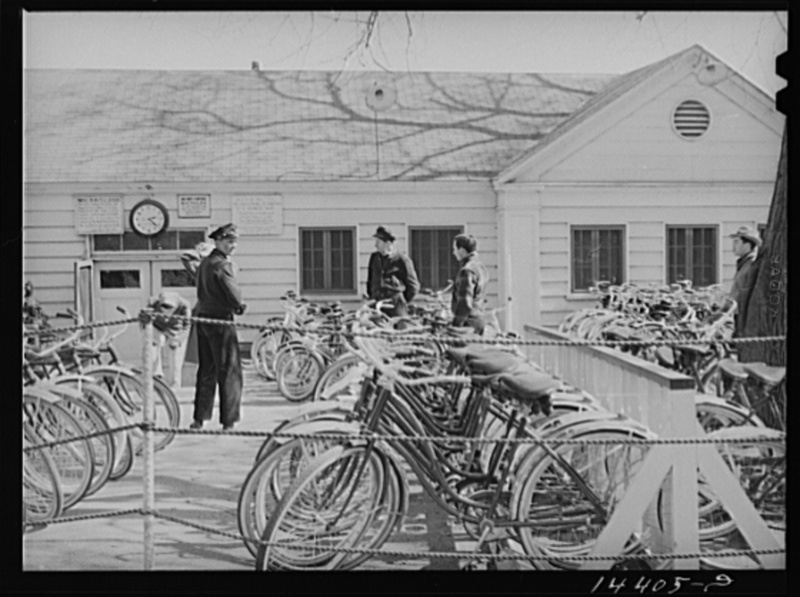 Dating back to the early 1940’s, bike rentals were available through bike shops and gas stations at different independent locations in the city. But today the Capital Bikeshare Program provides a network of stations that makes renting a bike easy, convenient and affordable. 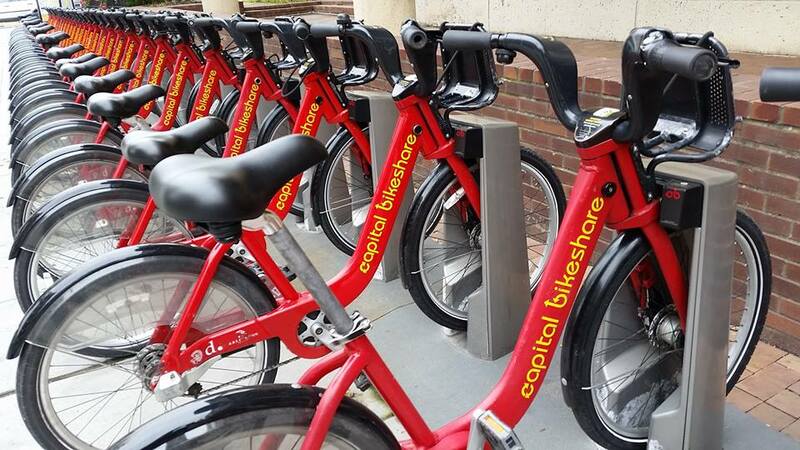 Capital Bikeshare, which first began in 2010, makes over 3,500 bicycles available for rent at over 400 stations across D.C., Arlington and Alexandria, Virginia, and Montgomery County, Maryland. Whether it’s for a short trip, a commute to work, to get to the Metro, running errands, going shopping, visiting friends and family, or for any other reason, you can simply rent a bike at any nearby station. And then when you’re done, you can return it to the same station where you started, or to any other station near your destination. You can join Capital Bikeshare online or at one of their convenient a commuter store locations. Membership options include a day, 3 days, a month, a year or try their new Day Key option. This gives you access to their fleet of bikes 24 hours a day, 365 days a year. The first 30 minutes of each trip are free. Each additional 30 minutes incurs an additional fee. The city’s increasing amount of bike lanes and biking infrastructure combined with the convenient availability of bikes makes it easier than ever to get out there and explore our nation’s capital. 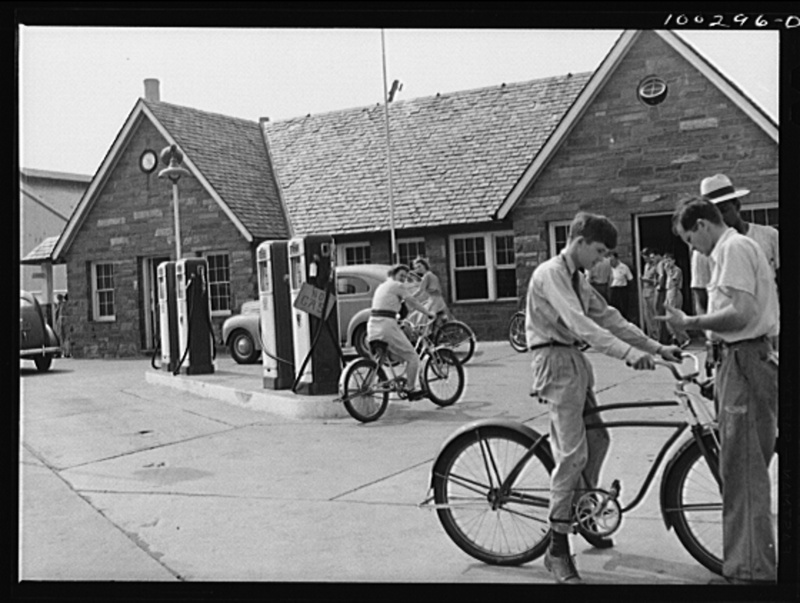 Note: Historic photos obtained from the Library of Congress Prints and Photographs Division and used with the permission of the U.S. Farm Security Administration/Office of War Information/Office of Emergency Management/Resettlement Administration. Over the years as I have been riding a bike during my lunch breaks at work, I have periodically seen a large white tent erected in different parts of the downtown area of the city. On it’s side there has been a sign which reads, “davidstent.dc.org“. I first saw it about four years ago in President’s Park on The Ellipse near The White House. Since that time I have intermittently seen it near John Marshal Place Park just off Constitution Avenue, as well as various other sites. It is currently located on the National Mall just east of the pond in Constitution Gardens and about 100 yards due north of the National World War II Memorial (MAP), and within view of the White House. On this ride I stopped in to learn more about it. 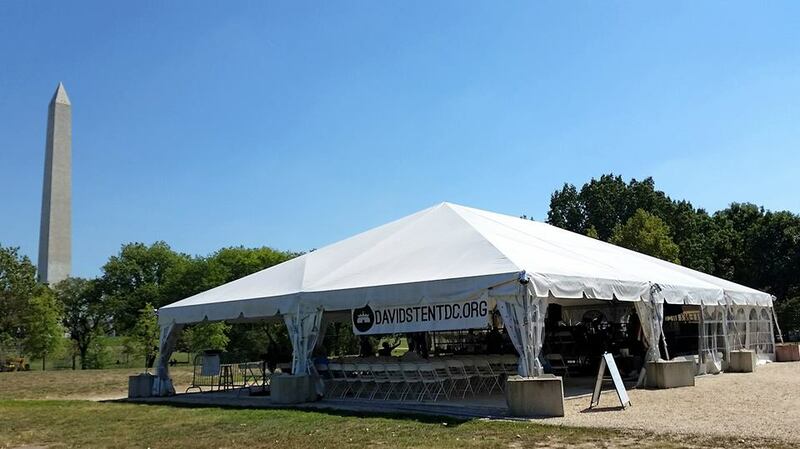 Jason Hershey founded David’s Tent DC in 2012 as a non-denominational Christian non-profit organization dedicated to performing public worship services. That first year a service was to be held in the park at McPherson Square, but at the suggestion of the National Park Service it was moved to The Ellipse instead. And although the Park Service had never given a permit for more than 14 days in that area, they granted David’s Tent a 45-day permit. So it was that David’s Tent began with 40 days of continuous worship and praise. When the organization decided to hold another event the following year, it again was located on The Ellipse. However, that year the Federal government shut down due to the fact that no budget had been passed. And in addition to closing most Federal departments and agencies, the first things to close were the National Parks, including the National Mall and The Ellipse. 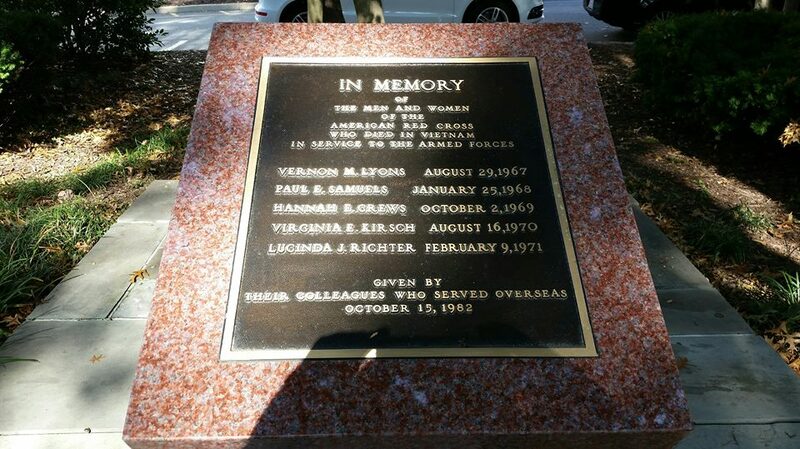 I vividly remember during that time the news stories of attempts to keep World War II veterans from being allowed to visit the closed memorial that had been made to honor them. Amazingly though, David’s Tent was allowed to continue uninterrupted. That year they did it again for 42 days, which equates to being 1,000 hours long. David’s Tent has continued ever year, and gotten bigger and longer in each consecutive year. In 2014, the service was extended to 50 days, during which they prayed for each state for one day. This time is the organization’s most ambitious event to date. 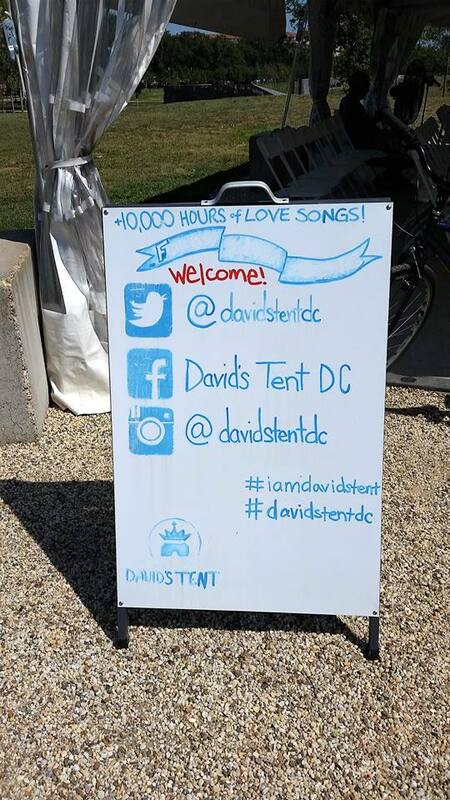 The tent was pitched in its current location last September 11th, and David’s Tent is committed to performing nonstop worship music on the National Mall for 14 months straight, 24 hours a day and 7 days a week, until Election Day this November. This weekend, they will reach the one year mark on their way to the goal of a 422-day worship service. Hershey, the founder of David’s Tent, says there’s no political agenda behind the vigil despite its significant start and end dates, and its notable location in the heart of our nation’s capital. 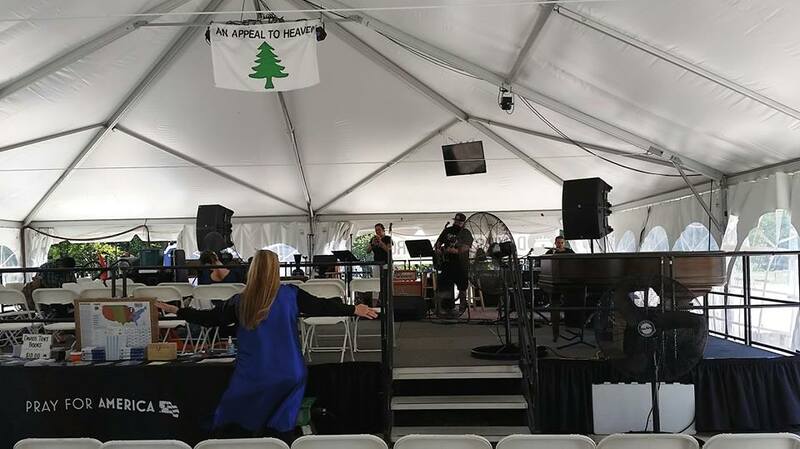 David’s Tent is inspired by the biblical story of King David, who pitched a tent near his palace and hired more than 4,000 musicians and 288 singers to worship there continually throughout his 33-year reign. David made worship central for his nation, and it is said to have brought blessing on the whole nation. David’s Tent DC is attempting to do the same here in America. So if you’re in downtown D.C. during the next few months, I encourage you to stop in, learn more, and participate.